Bass fishing in Florida is often a feast or famine practice, thanks in large part to the drastic environmental conditions. Extreme summertime heat combines with daily torrential rains, producing water temperatures in the mid 90s, lazy bass and lazier fishermen. Hurricanes come through and make major adjustments, as I witnessed first-hand on the St. Johns River in 2017 when Irma brought a hundred-year flood that wouldn�t leave. For months the river rolled over its banks, flushing out the majestic cypress swamps that hadn�t seen water in decades. Massive amounts of nutrients flowed into the river in the form of decaying plant and animal matter, fueling decomposition and removing oxygen from the system at an alarming rate. The result was the largest fish kill ever witnessed by most people in our region; acres of dead bass, bluegills, gar and other fish filling every shoreline as the flood receded. The birds and the gators had a field day. Fishing on the river following the flood had been unproductive. For several months, it wasn�t uncommon to fish a full day and not catch a bass in many areas. The fish were, simply, gone. But a beautiful thing is occurring. The river is rebounding. A recent trip proved the theory of friends at the Fish and Wildlife Commission and others who have seen this scenario before: Little fish are showing up in big numbers. To take a fair sample, I rigged a light crappie rod with a small twister-tail and set off into the swamp early one morning. What a blast I had! Cast after cast, I caught the cutest little bass I�d ever seen, and redbreast sunfish with the most gorgeous colors of any native freshwater fish. A handful of crappies and bluegills were thrown in the mix � too small to keep, but a great size to bend the little pole and give me a thrill. In all, I landed about 30 fish in half a day. Grinning ear to ear as I loaded the boat, I reflected on my fulfilling morning, despite not catching a fish over 10 inches long. Business and a few personal issues at home had kept me off the water more than ever and it felt great to catch something. Anything. I couldn�t help but put the feeling in the context of a recent BassFan debate, regarding bass fishing as a spectator sport. 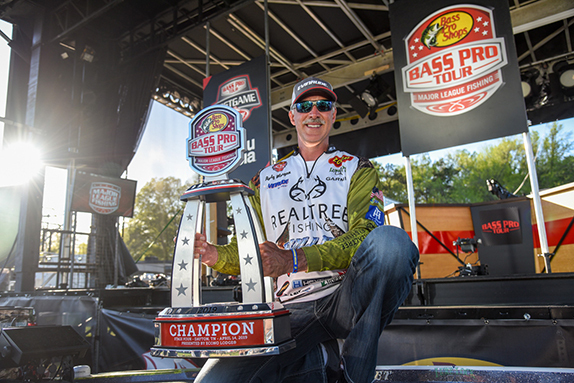 Many fans have complained that the MLF format � catching and counting most all fish, including dinkers � skews the current model. I, too, have been critical of the system and the outcome it produces in fishing tournaments. Is it really a fair way to determine a winner? After my morning on the river, I wonder what difference it makes. What we have today is the quest for five big fish vs. the quest for bites, regardless of size. But remember, that wasn�t always the case. 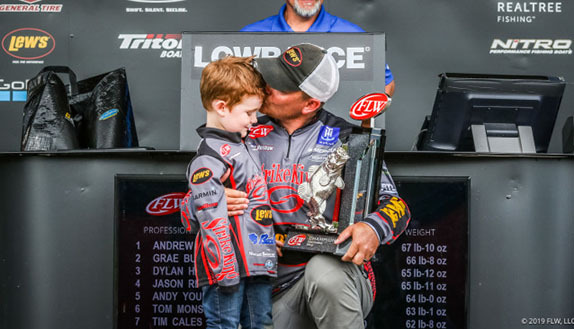 Bass tournaments, you might recall, started as catch-and-keep rodeos, evolving into organized events with 15-fish limits. Our competitive forefathers � Bill Dance and the like � focused their efforts on quantity rather than quality for much of their tournament careers. Sure, we hear about the hundred-pound limits and record strings of the era but a lot of times it was tough just to get to 15 for the day, so any decent bite counted. It would surprise many fans to know that those records weren�t often the result of full limits. As time went on, the daily limit was reduced to 10, then eight and five, with the popularization of catch and release, and concerns for the fish and fish stocks. 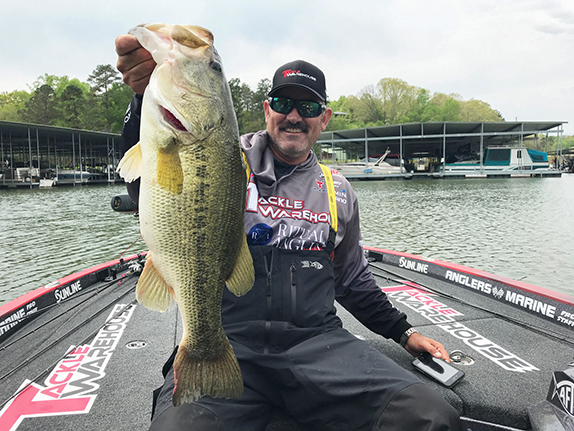 As a side note, many will recall Rick Clunn�s take on these changes, and the way it changed fishing methods of the top pros. Quality replaced quantity. So what will it hurt to change things back, but in a new and improved way? Again, I can�t help but think of my recent outing. These days, 90 percent of my fishing in Florida is done with magnum rods and heavy braid, yet my ultra-light outing was one of my most memorable in recent times. Getting bites, you see, is just damn fun. Perhaps we�ll again see recognition within the tournament community; it�s what we started with, in a way. As fans, can we embrace the fact that the best angler may be decided by methods other than the accepted model, or will our answer remain �just because�?